â€œYou have to write the book that wants to be written. 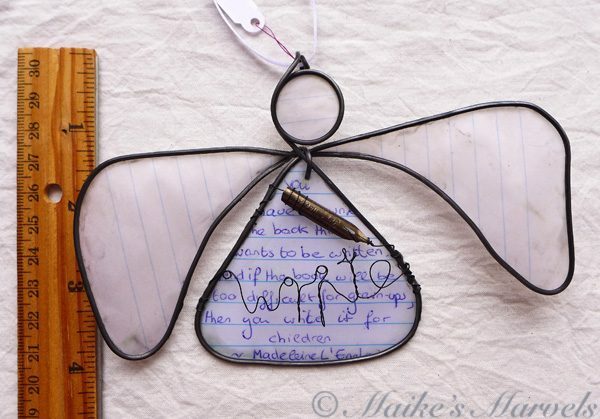 As a lifelong writer, I had to incorporate that into one of my angels. 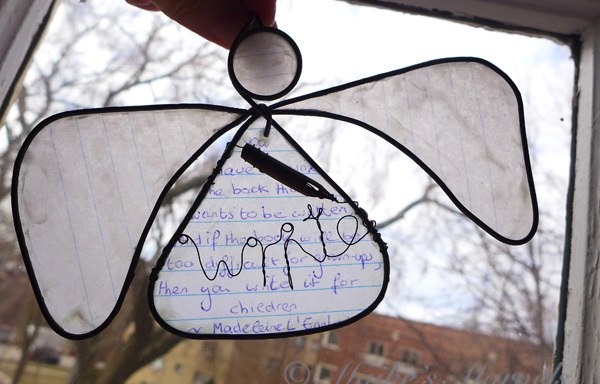 This Author angel was hand-wrangled into a triangle shape before I had the Jig. 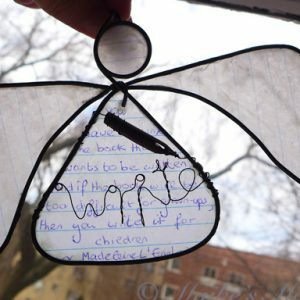 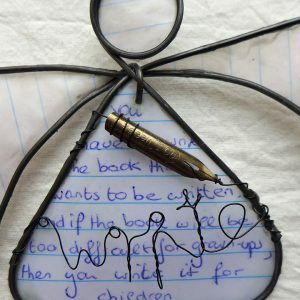 I wrapped black decorative wire around the writer’s nib a friend had gifted me and spelled the word “write” with the wire. 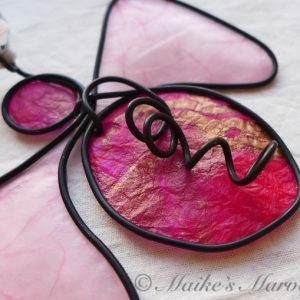 This embellishment was wrapped around the steel. 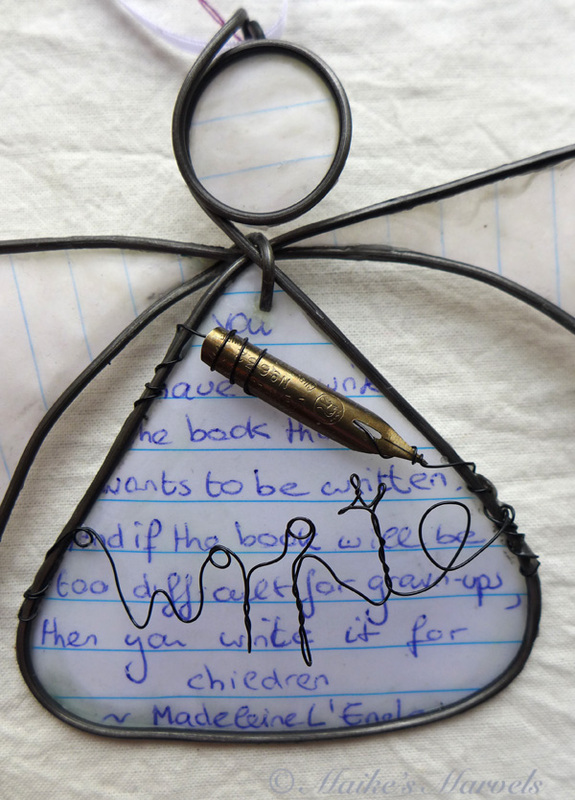 Then I handwrote the above quote onto notebook paper, and attached the wax-dipped paper to the steel form with encaustic medium. 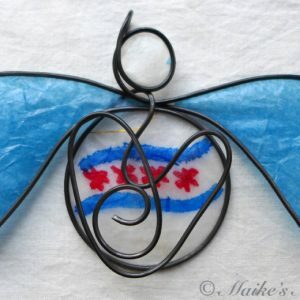 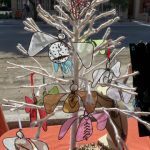 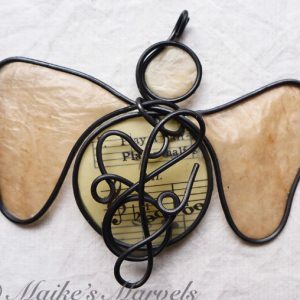 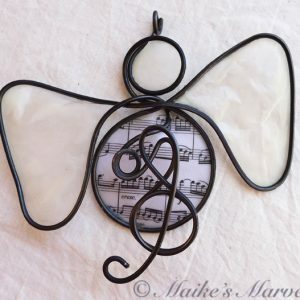 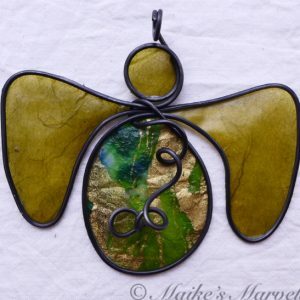 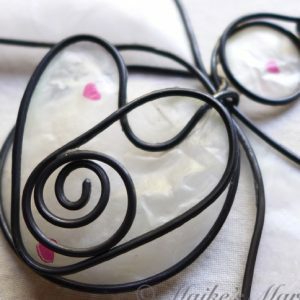 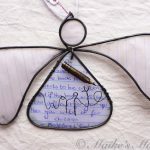 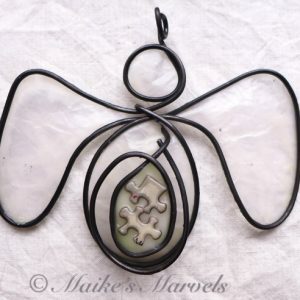 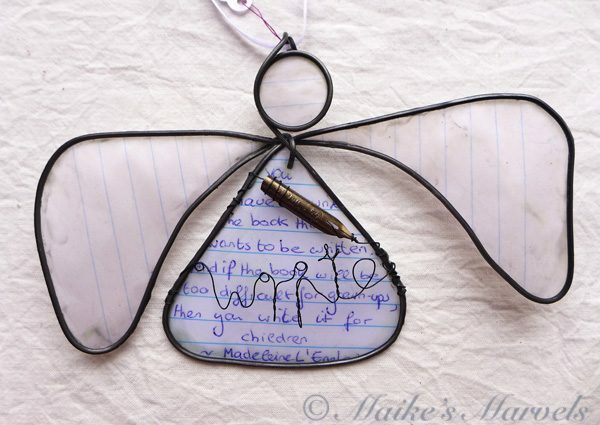 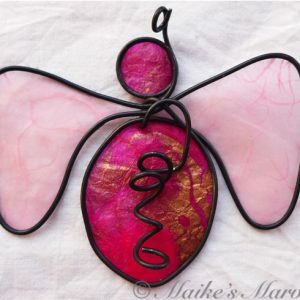 TheÂ wax and wire angel can be hung as an ornament at your desk, in a window, or as a holiday decoration. 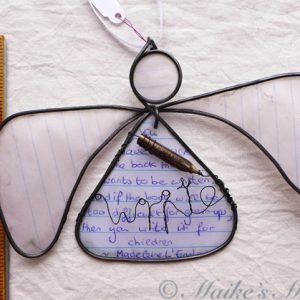 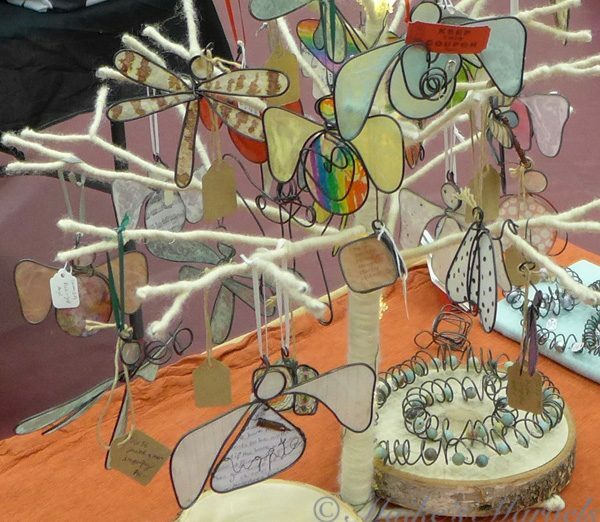 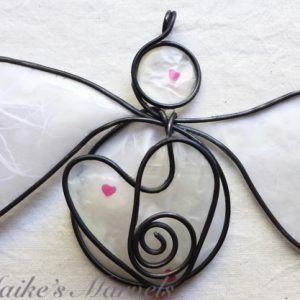 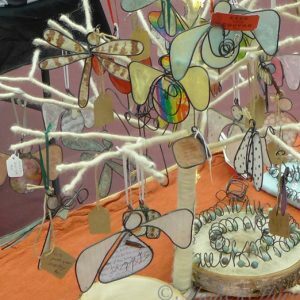 This hand made steel wire angel measures 4 inches tall byÂ 6 inches wide and comes with a white satin cord for hanging.